Use our crane services to safely remove large trees that have fallen in your yard. 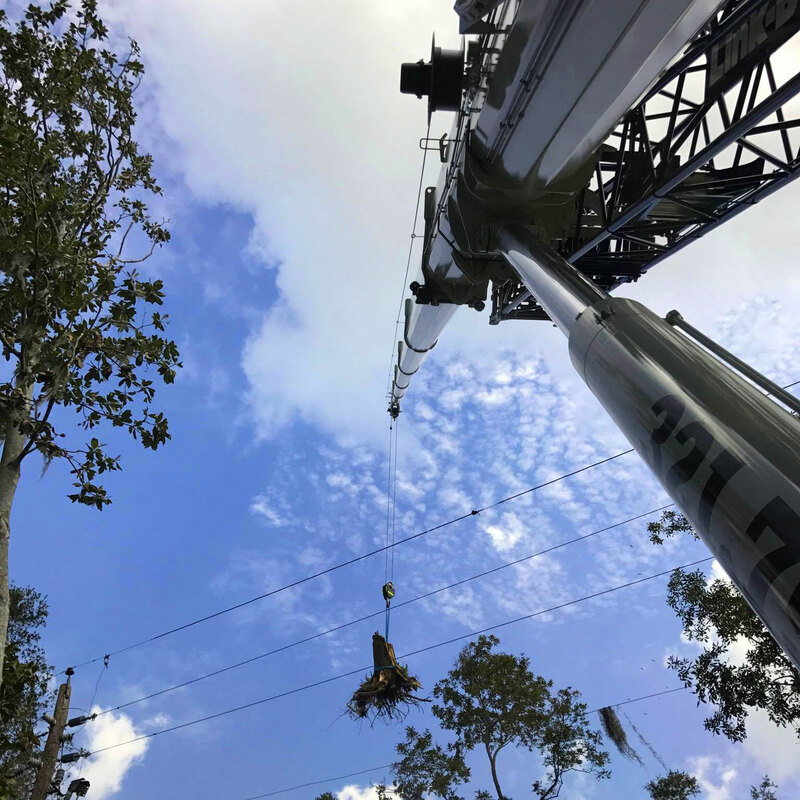 Our expert crane operators can safely remove downed trees from your home without causing any additional damage so you can start cleaning up and making repairs. 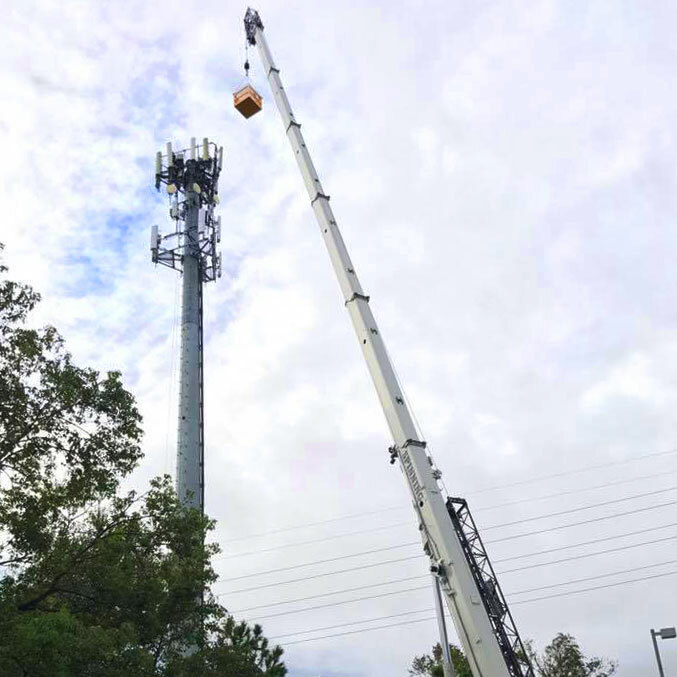 If you need heavy lifting of cell phone towers, power poles, etc we are your best choice for crane lifting services. 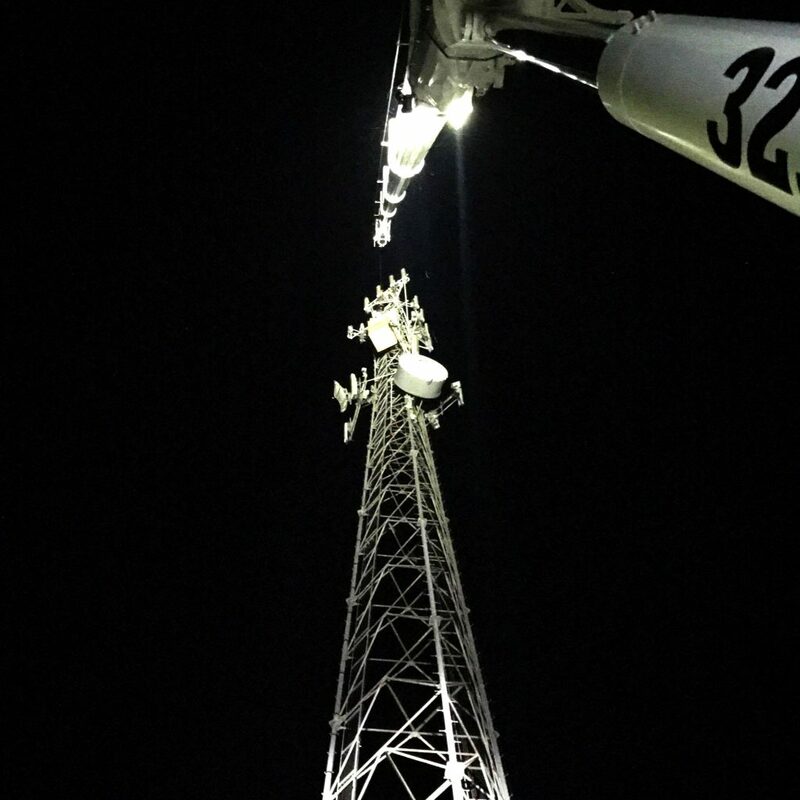 Our expert crane operators can safely erect your poles or lift equipment to the top of cell phone towers or power poles. When you need to lift heavy HVAC equipment to rooftops or any other heavy equipment lifting needs Spinning Crane Works is your best crane service operators in Central Florida. We can handle any heavy equipment lifting needs.